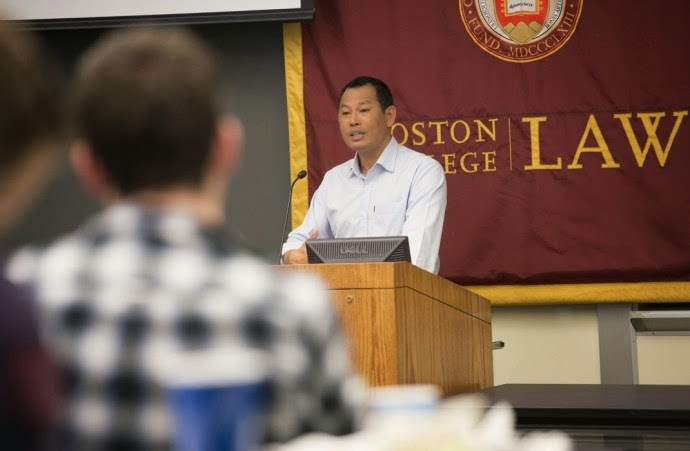 Such is the case with the victimization of Burma’s Rohingya Muslim ethnic group by members of the Buddhist majority, which has involved explicit violence on a relatively modest scale but also forced birth control, forced relocation, and denial of access to food and medical care, said Zarni, who on April 13, delivered a lecture on the topic, sponsored by the Law School’s Owen M. Kupferschmid Holocaust and Human Rights Project. How could Buddhists, raised to spare the lives of all creatures, even insects, perpetrate a genocide? The answer, Zarni said, is common to every genocide: the perpetrator learns to see himself as a victim, and a defender of his nation or ethnic group. “We have to frame the target of the attack as a threat to our livelihood, a threat to our national community, as a virus, a leach, a bloodsucker,” he said.